Recently, Hans Saunders wrote at The Daily Genevan on the subject of Christian brokeness. The post reminded me of a prior diatribe on our culture's infatuation with experience and transparency. 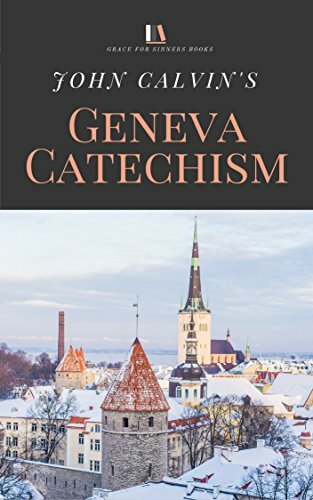 But where Saunders' post motivated me to revisit the subject was with his emphasis on Calvin's Catechism answer for brokenness. 128. M. What is Repentance? C. It is a hatred of sin and a love of righteousness, proceeding from the fear of God leading us to a denial and mortification of the flesh, so that we may give up ourselves to be governed by the Holy Spirit, and perform all the actions of our lives in obedience to the will of God. Respite from sin is only ever accompanied by this repentance. And while it is most certainly true that the church is not some already perfectly holy community, it must not moderate its language. As the sanctified ones, we are the suffering community in which we come together and bear one another's burdens. But one of those shared burdens "is a hatred of sin." Alas, as one author has put it, we are stuck with the modern hypocrisy, "appearing more irreligious than we really are" (Wayne Oates). This can exist in the secularization of the Christian testimony. But it can also exist in another sense of over-publicized "sinfulness." We make mountains out of small issues to appear less religiously "together" to attract people. This false sense of holy brokenness and its public display often hinders the church's work of discipline. At the risk of radical oversimplification, the Scripture teaches that sin brings nakedness (Gen 2:25; 3:10), seeing nakedness is shameful (Gen 9:20-23), and the church is to cover the nakedness of its "weaker" or "less honorable" members (1 Cor 12:22-26). Against this backdrop, the public flaunting of brokenness that is often associated with "transparency" and "honesty" is nothing but a detrimental reverse legalism that goes against the flow of church order. In practice, more public exposure often leads to a community more tightly drawn together. We see this across a number of community groups that are not even particularly religious. But is this what Scripture teaches about the exposure of church members? I would argue, that once again in practice, this type of premature exposure apart from genuine repentance is an undermining of Christian discipline. Genuine repentance meaning the shared burden across the church of "a hatred of sin and a love of righteousness, proceeding from the fear of God leading us to a denial and mortification of the flesh." Now for some, the words "church discipline" are essentially curse words. But despite any potential word association, church discipline is not always "excommunication." In fact, in a healthy church, the majority of church discipline should occur between only two or three congregants at any given time. There is a quietness to the ordeal that is behooving the instruction of Scripture concerning nakedness. But in a culture that adores honesty and transparency, where is the glory in keeping confessed sin so private? True, some sins are still culturally off-limits for public discussion and so we must make more of less. But on these sins, some seem in a rush to deal with the sin and then set it on a stage (As a side note, this concern has been addressed to me about Torrey Gazette's promotion of SSA discussions). "Lest one declare me a ranting lunatic, transparency is still of value — but never a value of itself. Stated another way, transparency must never be its own ends. It must have for its purpose achieving community in the church. This means union with Jesus Christ through care for one another. More pointedly, transparency is only valuable as a stepping block to true intimacy. Transparency must be for the benefit of the community's discussion and lives. To achieve this transparency must be short and to the point. It must stop and listen from others. It must stop and listen to responses from others. It must accept rebuke. It must accept that its experience is not natural, safe, or faithful to the witness of Christ." So what does the alternative "transparency" or "brokenness" look like? For starters, as I have noted recently, forgiving is not forgetting. Inherent in this forgetting motif is a gnostic understanding of our own history. That our sins — by being in the past — cease to have a purpose in our spiritual present. Once this pill is swallowed, the doorway is open for a new spiritualization of sinful past. Now, the sinful past can be propped up to "glorify" the existential forgiveness moment that makes the historical sin irrelevant. We should revel in the glory of God and the lifted judgment of the law upon our sinfulness. But we can't then turn the amount of sinfulness into a welcoming badge. Brokenness is not a treasure. We carry the treasure in broken vessels. It is not an opportunity to have a new conversion story every week. Brokenness is a gift from God in the re-creation of His people and the re-formation of the Second Adam's wife — the church. Brokenness exists "that we may give up ourselves to be governed by the Holy Spirit, and perform all the actions of our lives in obedience to the will of God." As of late, our public exposure of our brokenness has achieved the opposite.